Just click on the pic to go to the Freebies page…there you’ll be able to download the pattern in PDF format for FREE! 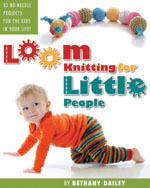 This entry was posted in Free Loom Patterns, Knitting, Loom Knitting, Looming Patterns. Bookmark the permalink. Very pretty 🙂 I love the color you used and I totally want those dishes. I can’t get the PDF to open up and give me the pattern.